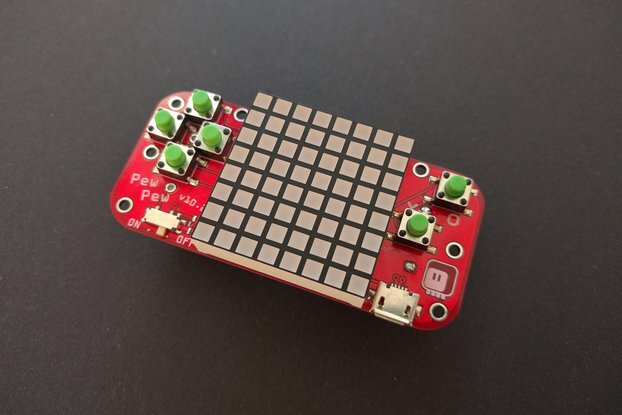 A shield for the D1 Mini ESP8266 development board that adds to it 12 analog pins with 12-bit resolution. 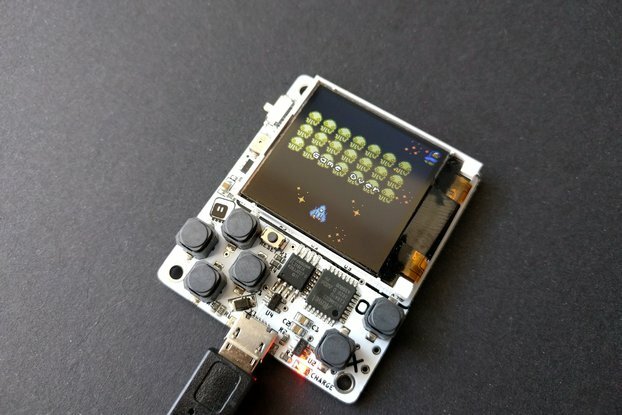 It's an add-on for the D1 Mini development board that expands it, adding 12 analog pins. 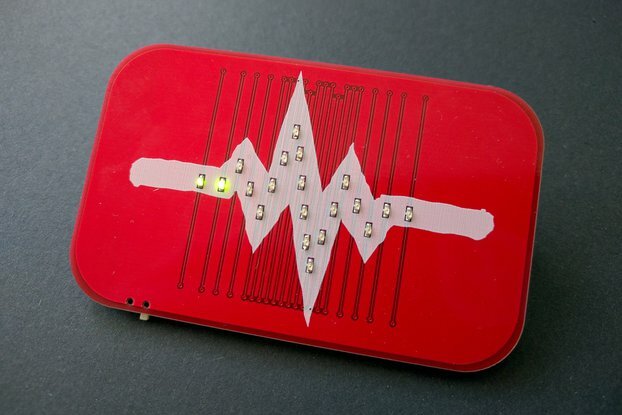 Those pins can measure up to 5V with 12-bit resolution. The communication happens over I2C, so only two pins on the D1 Mini are used and they can be shared with other I2C devices. 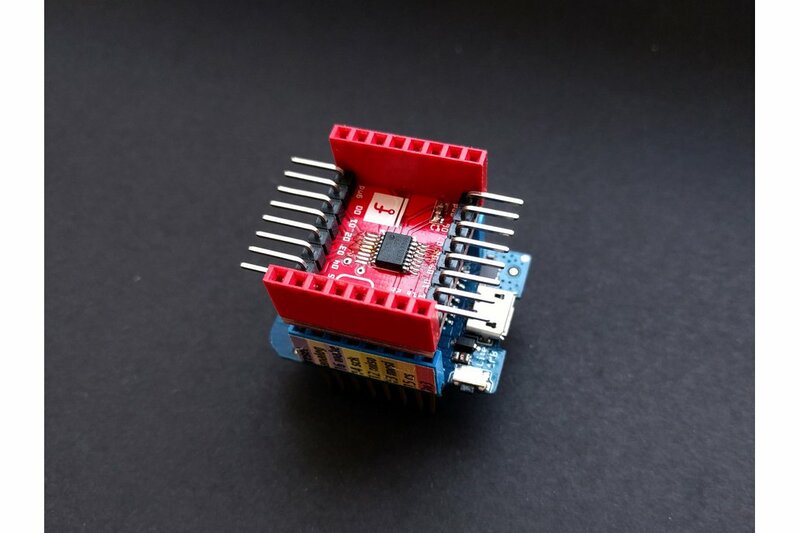 Because this chip has a fixed I2C address, you can only use one at a time. 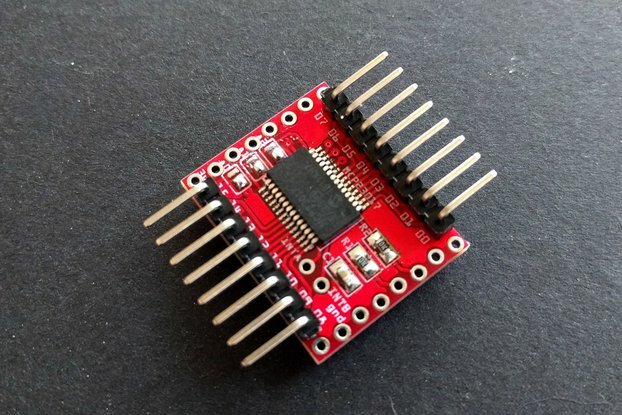 The ESP8266 is a great chip and the D1 Mini is a very nice development board, but the single analog pin with 1V max voltage is not very useful. I needed more analog pins, and this is the most convenient way to get them that I could think about. It's just convenient. You could use any of the available ADC chips/modules, but they take up place and take extra pins. With this, I can simply add it to my D1 Mini and not think about it. The program handling it is also very simple, you just need to read the value from an I2C register corresponding to the channel. The chip being used is MAX1238EEE. There is a datasheet for it. 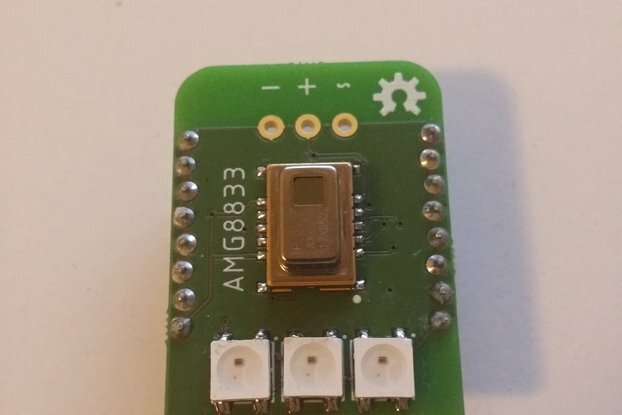 This shield relies on the 5V pin having at least 4.2V (preferably 5V), because that's what the chip is powered from. It needs higher voltage for power than what you are measuring. 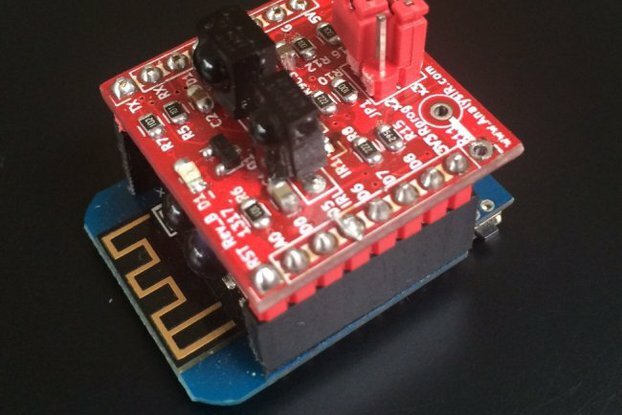 Both USB and the Wemos battery shield provide adequate voltage, but if you are doing something yourself, you need to keep this in mind. The readings are from 0 to 4095, where 0 means 0V, and 4095 means the power voltage — usually 5V, and all values in between are proportional — so to get the value in volts, you can simply divide the result by 819. It is also possible to switch the chip into internal reference mode, then the reading of 4095 means 4.2V. Please refer to the datasheet for details. It's possible to insert the shield backwards — it won't work then, because it won't have power. Please see the bottom of the shield for an outline of the D1 Mini board indicating the correct orientation. The shield comes with the male headers soldered on, but you have to solder the stacking headers yourself (or solder different headers in their place). 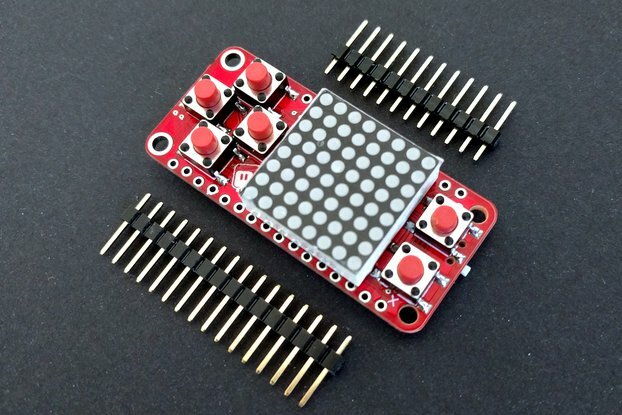 Due to dimensions, I can't send fully soldered shields. Upon request I can send a shield without any headers soldered, so that you can solder wires directly to the holes.